I always call this beach Blind Pass with a little note if it’s the Sanibel side or the Captiva side to explain where the shells are. But actually, the official name of the beach on both the Captiva side and Sanibel side is Turner Beach and the waterway that separates them is named Blind Pass. So if I called the beaches by the official name of Turner Beach, I’d still have to explain which side. Geez, shelling isn’t complicated so why complicate the beach names. I just like to wrap it all in one little package and call it all Bind Pass. Easy peazy, right? Kenny, Marisa and Lisa from Ohio could have cared less what the name of the beach was, they thought the shelling was “awesome”. They were having a ball plucking these juvenile FIGHTING CONCH shells right out of the surf. I walked over the bridge to see what the Captiva side of the beach looked like…. nuttin’ honey. The high tide is starting to cut into the sand on the beach. No worries, it could be back tomorrow. This beach changes sooo quickly. Click HERE to scroll through pictures of the changes of Blind Pass. So I walked back over the bridge to the Sanibel side and the first thing I saw was this pretty little bright orange SCALLOP shell. There was a fairly high tide at somewhere around plus 2 (the sand bar was covered with water) and pretty calm with temps in the 80s. Paradise. So I had to take a little video. Nothing fancy but I just had to share the warmth with the sounds of the water rushing over shells. Thanks for the video. Can’t wait to ge there this summer. Calling it Blind Pass on S/S (sanibel side) or C/S (captiva side) would work for me. Like you said, I don’t care what its called – I just want to BE there! And you do a fine job no matter what you call it! Par-ah-dise!!! It looks so pretty! I always wondered about the people who live at the beach, “do they ever get tired of it?” I think I have my answer!!! OOOOOHHHH how I needed that thank u thank u thank u!!! i so miss the ocean. Keep the videos coming! Have a great Easter my friend. Oh…I want to come back!!!! 87 days … paradise found !!! Love the web site Pam , thanks for bringing all of us a little slice of paradise everyday !!!!!! Yes, have always known it as Turner Beach, especially because Blind pass is NOT always a pass! I hope they don’t let it close up again…wish they would have finished the job the first time! Beautiful!! I don’t care what you call it either… I just love knowing where you are talking about and picturing it my head because I have been to this little island-heaven! So I am curous, Pam. My husband and I were thinking that the water would be more blue than it was when we visited, but now we’ve seen lots of beautiful pictures on here and the water is sooooo blue. We got thinking that maybe it’s the time of year. But now, in your pictures today, the water is pretty murkey again. What affects that? When do you get the beautiful blue water and when does it turn “dirty-like” ? It’s always beautiful, but just curious. Thank you for another fabulous post. Happy Easter! It depends on the how choppy the water is for one. If it is rough at all (like I like it to bring in all those beach treasures), it stirs up the sand, silt, shells and everything to make it “murky” or dirty looking. The other thing is the rain. If we don’t get a lot of rain, we don’t have run-off from the river. If we get lots of rain (we need it right now) Lake Okeechobee (in the middle of Florida) over flows and runs down through the Caloosahatchee River through Ft Myers. The river water will make the bay and gulf look murky too. So just like shelling, the water changes every day depending on the wind direction, runoff and calmness of the water. It’s just one more thing that makes the beaches so interesting to me. Lots of times when the water is murky, the shelling is really good because things get stirred up. Late summer during the rainy season, the water seems to be not as blue …. but there’s not as many people here to get to the shells first ;). I happen to love the summer water….blue or not. I hope that helps! Awww Pam that was just what I needed after a hard couple of days. My blood pressure is right back where it should be. :) Thank you! I hope you had a good visit with your family! Happy Earth Day to all! Pam- I could listen to that all night and just might! Yesterday, I was taking a little dip in the nice warm gulf, and a sand dollar–in great shape floated by right in front of me. Also a first for me. Totally random! That’s shelling for you. Tomorrow I’m going to Egmont Key and Shell Island. I’ll let you know what the ‘gods of shelling’ reveal at those spots. Also saw some gorgeous dolphins today, including a mother and baby. I am sooo jealous, i want to be at sanibel island sooo bad, but i am saving my pennies to come in september, is that still a good time to shell….. The next best thing to being there. I have got to make a return trip happen…soon. 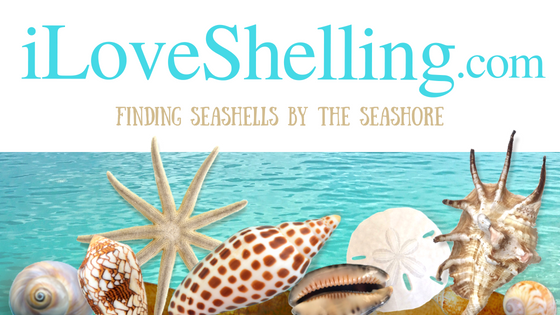 Do you think the shelling slows in the summer months?? Just curious. Previous trips have been in Feb. and March. Thanks for the steady posts, makes me happy!! We met last December when I was in Sanibel with my daughter Emma. We are still suffering in northwest Ontario with cold and rainy weather with some wet snow mixed in! I wait with such anticipation for your emails as they help to tide me over until I can get back there! Now that I have experienced Sanibel, there is nowhere I would rather vacation. Thanks for your uplifting reports-they make me so happy! Thanks for your great posts, Pam. :) Keep’em coming……and have a blessed Easter! Oh my gosh! so fresh in my memory. We were just there three weeks ago! How I love the sound of the waves coming in over the shells! We will be going back next March…We will have to visit this spot. Thank you for sharing this…it warms my heart. Oh, Laurie — don’t do that to me!! Your post describes exactly what I feel when I’m at the ocean and Sanibel. It is a spiritual experience for me. I feel the power of the ocean and yet it laps at my feet begging me to come in. The true gifts it gives me are it’s unique shells, lovely pearls and total relaxation. I’m 49 and grew up at the beach. To live in Sanibel would be heaven on earth. Thank you for the relaxing video! It does so much for the soul. Everyone in our area (Pittsburgh) is so depressed with our rainy cold spring. But the good news is my sister and I will be there in 6 days! The anticipation is almost too much . . . hope to see you on the beach! Happy Easter! Fort Myers is just across the bridge from Sanibel and is very affordable. Clark (my husband of course) is in real estate and would to answer any of your questions about homes/condos anywhere from Naples to North Ft Myers. I’d love to have you down here in the winters!!!! Thanks!! We just spent 9 days camping at Ft. De Soto. Wish I’d known about this. How do you get there and where do you park? I visited Turner Beach back in 1980 and the shells were piled 10 to 20 feet deep across a majority of the Sanibel side. Then, two years later, all the shells were gone due to being washed out by a hurricane. It is great to see the “piles” of shells seem to still exist in some capacity!!! Thanks for the site! Turner Beach is on the Capitva side of Blind Pass. Blind Pass Beach is on the Sanibel side of Blind Pass.